Cameron Construction understands that everyone’s dream room is different, which is why our qualified team of professional design consultants sit down with you and work out the right bathroom renovations ideas for your home. Once we have viewed the space and listened to your ideas, we will come up with a design plan suited to your bathroom renovation needs. 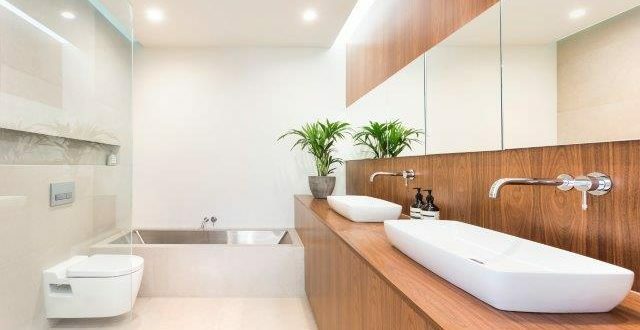 Melbourne residents can rest assured that your bathroom renovations are in extremely capable hands; Cameron’s is backed by an award-winning home building company. Our company can help you to find everything you need to make your room look exactly the way you envisioned. From splashbacks, frameless shower screens, insitu showers and mirrors, to free standing baths, heated floors, taps and shower heads, we have got everything you need for your dream bathroom designing in Melbourne. Imagination is the key to good Melbourne bathroom renovations. It’s also nice to see your visions become a small-scale reality before they take place in your home. This is why, after our team has liaised with you and come up with a plan that you are happy with, we invite you into the Cameron’s showroom to view a computer enhanced 3D design of your proposed bathroom & kitchen renovations. You have no need to fear unforeseen or hidden costs. Once our team has provided a comprehensive written quotation for your bathroom renovations in Melbourne and you’re happy, we will lock your project at a fixed cost. Cameron’s professional design consultants ensure that your project has a price tag that suits your wallet.